Super fans know the The Grand Budapest Hotel director likes submarines, but it turns out he's partial to cruising at sea level, too. In fact, the acclaimed director of cult screwball comedies is taking a transatlantic cruise from New York to Southampton, England with friends/collaborators Tilda Swinton, Jason Schwartzman, and Roman Coppola -- and you're invited. 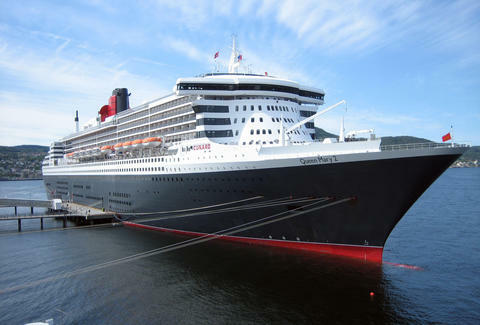 Over the course of the seven-day voyage aboard the Cunard's Queen Mary 2 (which is celebrating its 10th anniversary), fans will meet Anderson and company at a Q&A in the ship's Royal Court Theatre, as well as re-watch greats like Moonrise Kingdom and The Royal Tenenbaums. They might also play some shuffleboard. The ship sets sail from New York on June 13, and if you'd like to be one of the lucky fans aboard, you'll need at least $1,298. Book your ticket here. Chloe Pantazi is an editorial assistant on Thrillist's travel team. She hates boats more than she loves Wes Anderson, but would have gone for Adrien Brody. Follow her on land on Twitter at @ChloePantazi.